Relocating locally or overseas can be a major hassle along with being an emotional and mental strain. Therefore, you need to plan your move in advance to ensure a smooth transition from one place to another. The first thing to consider is the purpose behind the move. Have you gotten a new job? Is your current house too big or small for your family? Do you desire a change of scenery and environment? Are you planning to move near your family? Are you unable to maintain your current home on your limited budget? There can be a number of possibilities and reasons why families move across town or across the globe and you need to know your reasons for the move. When you plan for relocation, you are not only considering the shift for yourself, but also for your family. Thus, you need to inform them about the upcoming relocation and you need to gain their approval in this regard. Moving to a new place is never easy, but it can become better if family members understand and support one another in an effort to be settled into a new neighborhood and surroundings. If you are relocating to a different city, state or country, you need to think about it thoroughly. Is your existing house on ownership? Is it a rental? If it is a self-owned property, you will need to sell it prior to leaving the area. If it is rental, give your landlord a notice that you will be leaving and make sure that you are providing the notice with plenty of time to spare. You can also plan to rent your current house, for which we strongly advise you to find and work with a property management company, who will assist you in finding a good renter and also offer you regular maintenance options, if you so wish to pursue with them. Relocating within the same country might not require a lot of legal formalities but if you are considering an international move, you will have to sort out the processes of your visa, passport, driving license, health records, work permits, and other necessary documents before moving to the new location. In order to move from one area to the next, you can simply put your belongings in your car and drive to the new home. 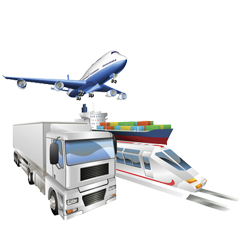 However, in case of long distance moves, you need to hire professional shipping companies to take your cargo by plane, train, or ship, to your specified destination. You also need to consider the belongings that you want to take with you and those that you will leave behind. Your old clothes, appliances, car; it is up to you to decide which items you wish to ship to your new home. Cargo shipments can take time to arrive at their destined location, so carry all essential items with you in your luggage. After giving due consideration to all of these factors, plan a schedule for the move and start packing. Find a moving company that can provide you with Freight Forwarding Services; and take your belongings with you, no matter where you want to go!